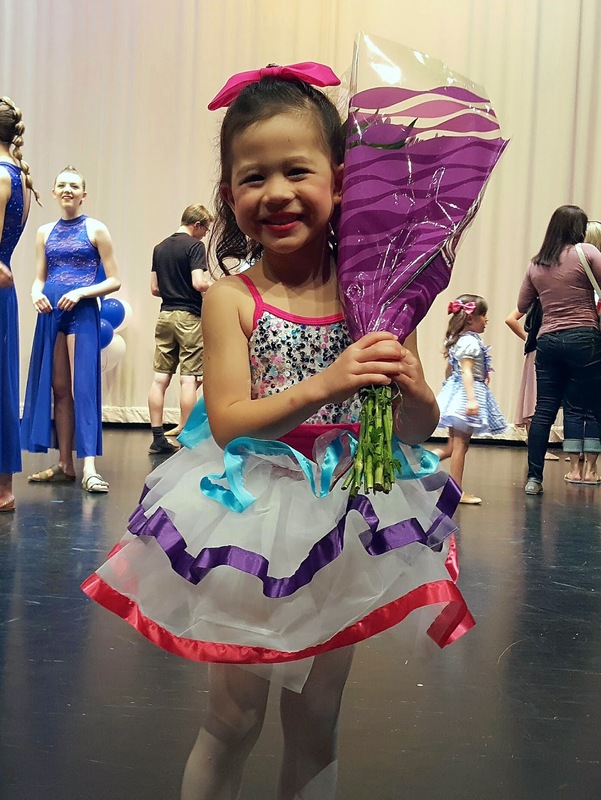 Elinor began a ballet/tap class in February after seeing a few videos of ballerinas. She was happy to see that Alina, one of her preschool classmates, was also in her dance class. Alina took Ellie by the hand that first week and led her into the dance room, where she introduced her to the teacher. "This is Ellie. She doesn't talk much." And talk she didn't. 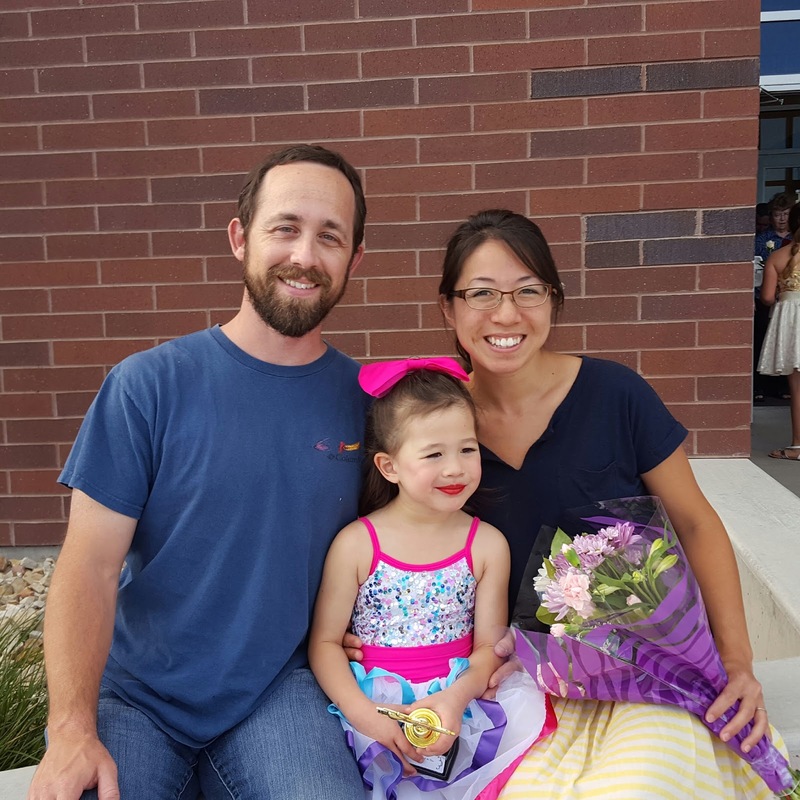 Every week she came to dance class and listened to the teacher's instructions and danced her little heart out and didn't make a peep. Some days she loved it and some days she wasn't so sure about it. At the recital this week she was given the award for "Dancer of the Year" in her group, proof that all her hard work hadn't gone unnoticed. 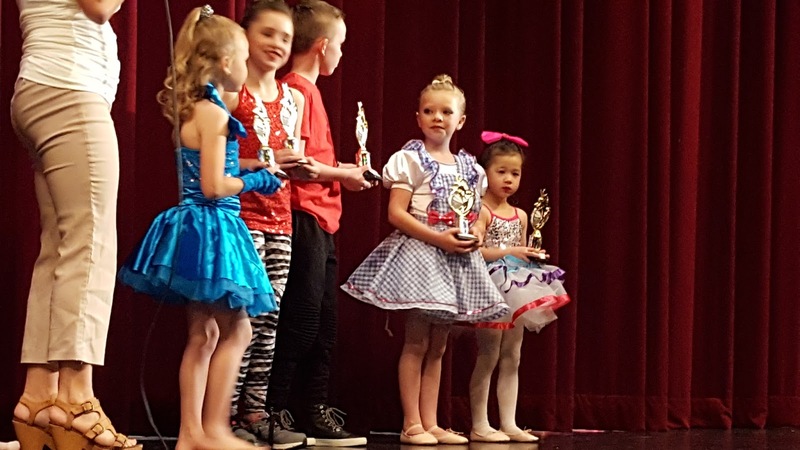 She was so nervous onstage that she couldn't even say her name into the microphone when presented the award, but she did an amazing job during the dance number. 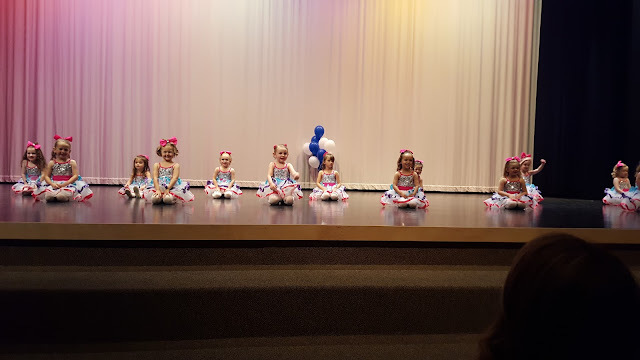 Unfortunately, she was in the back row and you can only see her little head peeking out from behind one of the girls middle in this picture. They danced to Eva Cassidy's rendition of "Somewhere Over the Rainbow" and I've maybe cried a few times just watching her practice. Afterward, she was so proud of herself for doing such a hard and scary thing! She was so proud of her trophy, and we were so proud of her. Way to go, Ellie! 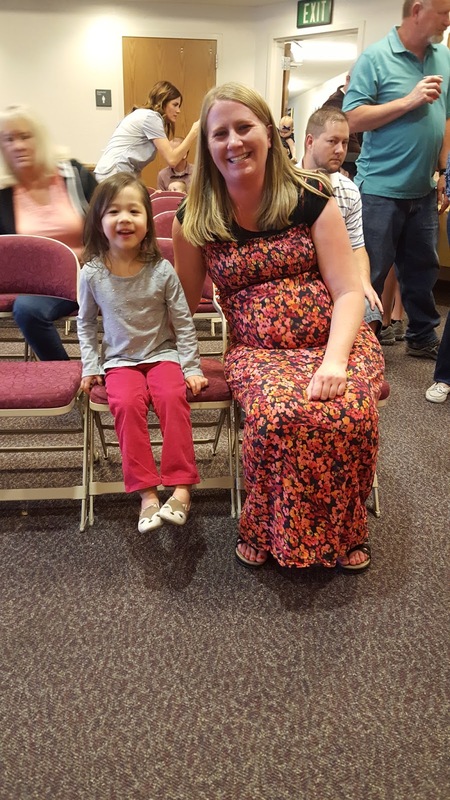 Next up for the end of year festivities was her preschool graduation program. 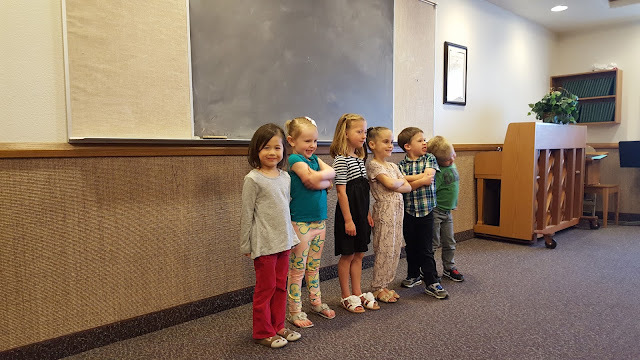 Since her preschool class was a mixed age group only half the class was actually graduating. Ellie enjoyed every minute of preschool this year. It was the true highlight of her week and she was devastated that there would be a summer break. She'll be going back to the same preschool next year, partly because she loves it so much and partly because it's just down the street from us. Yay, proximity! Also, Teacher Leslie is the best around!